According to investment dictionary, “investment objective” is financial goal or goals of an investor. It will guides an investor to decide where to invest his or her money. Normally, unit trusts or mutual fund describes its investment objective clearly in its prospectus. They also will identify the strategy the fund manager follows to meet that objective. Investors often look for funds whose stated objectives are compatible with their own goals. Four most commonly used investment objectives are Capital Preservation, Income, Growth & Speculation. The table below define each investment objective. Tags : EPF (KWSP), PNB, What is? We always heard that many people are saying high risk investment come with higher return. But how do we know which investments have higher return with higher risk and vice versa. There are 3 level of investments risk namely conservative, moderate and aggressive with potential return ranging from 3 percent and up to 20 percent. The most commonly type of investments from lowest to highest potential returns are government securities, fixed deposits, bonds, investment linked insurances, equities and options/warrants. The chart below illustrates the risk and potential return of the common types of investment products. In the last posts, we look at main features and benefits of Structured Investments. The most notable feature of Structured Investments is that can give you potentially higher return than fixed deposits. However it comes with potentially higher risks too. If you are unsure to choose whether to invest in Structured Investments or Fixed Deposits and would like to know the difference, this post is right for you. The table below illustrate the main difference between Structured Investments and Fixed Deposits. When you invest, you aim is to maximize your returns over a period of time. Structure Investments are a form of investment that can give you potentially higher return than fixed deposits. However, it comes with potentially higher risks. Structure Investments are investment product offered by financial institutions. These investments are linked to the various underlying assets such as interest rate, foreign exchange, equities, fixed income instruments or market indices. 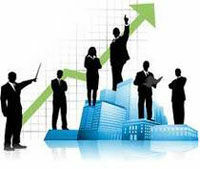 Fixed term investments which may be held to maturity depending on the features of the products. If encashed or redeemed before maturity, your investments may lose part of the return or/and principal. What is 90/10 Rule of Money? Most of us know of the 80/20 rule. It also known as Pareto Principle or Principle of Least Effort. What it means is that, 80 percent of our success comes from 20 percent of our efforts. This rule was originated by the Italian economist Vilfredo Pareto in 1897. However, Robert Kiyosaki believes that the 80/20 rule is only good for average. In his book “Rich Dad’s Guide to Investing: What the Rich Invest in, That the Poor and the Middle Class Do Not!“, he explain that in the world of money, the most suitable rule is 90/10. Rule 90/10 means that 90 percent of the people make 10 percent of the money and 10 percent of the people make 90 percent of the money. Tags : Robert Kiyosaki, What is?